I was blessed to have the opportunity to spend eight weeks in Jamaica from Sept 25 to Nov 20, 2017. During the first week, Bro Don Luff (link brother), Bro David & Sis Cassie Giordano and I did a tour around most of the island. After the first week the others flew home, and this was in a sense where my real Jamaica experience began, getting to know the local brothers and sisters, working to provide support with the difficult situations they faced and encouraging them to maintain a fervency for the remarkable hope that we have been called to in Christ. In some parts of the island the focus was on building a firm foundation, while in others it was on ecclesial unity. Our ecclesia’s need to be a place where we can come for support and growth. It takes much more thought and effort to build up, carefully placing the building materials in the right places. The following are a series of snapshots of my experiences in Jamaica. It was an epic journey of several hours on local busses (packed five to each row) that brought Bro. Leroy Johnson, Bro Stanley Frazier and myself to White Horses, named after the white cliffs that border the sea in this area. While there once was an ecclesia here, there are now only two sisters remaining. The one sister being away, we visited Sis Edith Frazer, who is living with her family. You could feel her pain at remembering what once was, and wanting a place to meet with brethren and sisters again. 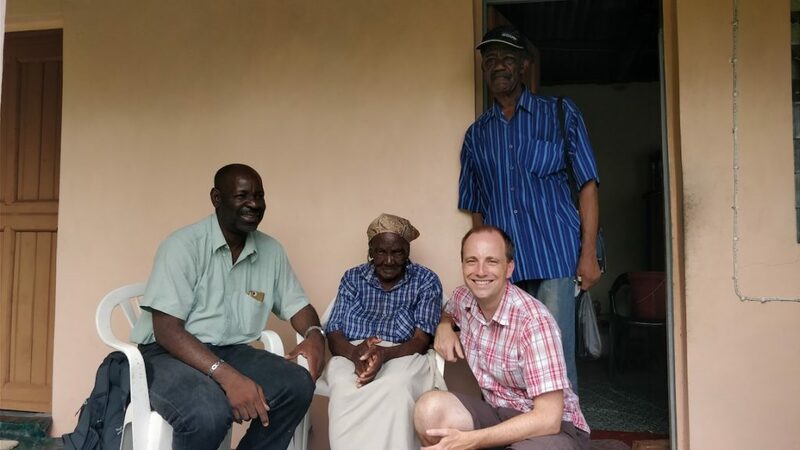 At 91, Sis Edith can’t see well enough to read any more. She joined us in singing a few hymns from memory, then we started to do the daily readings together. She kept interrupting us and eventually we worked out that she wanted us to read the account of Jonah to her. It turned out that as the young school children had been saying hello on their way home from school, she had been trying to teach Jonah to them to encourage them. However, as her memory was failing she wanted us to refresh her on the details so she could continue to teach. She is such a remarkable example from a faithful elderly sister. I spent a little over three weeks at the Round Hill Ecclesia across two visits. The Round Hill Ecclesia is located in a farming community that is a distance away from any of the main population centres. Thus the ecclesia forms the focal point for activities and meetings are held most evenings of the week. Tuesday night is the night of cottage meetings, which rotate around the cottages (homes) of every member of the ecclesia. This felt like a lovely way to help each member feel a part of the ecclesia and for the ecclesia as a whole to be aware of the needs of each member. My first cottage meeting was at the house of Sister Izone Elliott, a dear sister of 41 who was suffering with breast cancer. It was good to see everyone giving her encouragement and to point out that in the Kingdom, God will make each one of us whole again. 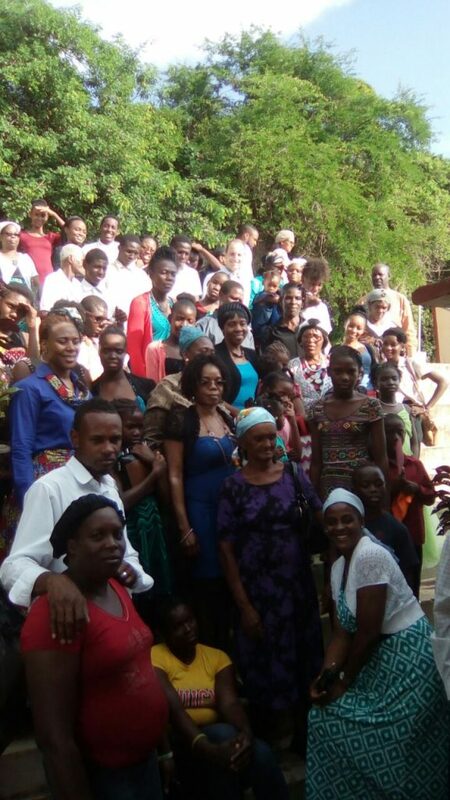 On my second visit to Round Hill several weeks later, Sister Izone’s cancer had spread to other areas of her. A month later I received the news that our dear sister had fallen asleep (14th Dec). We were thankful that her suffering was brief and she now rests in hope. Sometimes the truth calls us to make hard decisions in order to serve. As a young brother of 42, Brother Marlon is the recording brother of the Round Hill Ecclesia. Discussing how he came into the truth, it became clear that he has had to give up much to serve in the ecclesia. For example, Bro Marlon turned down a position as a manager of a sporting complex, due to most of its activities being on the weekend. This would have been a very good position, but instead Brother Marlon works hard to make a living farming land. 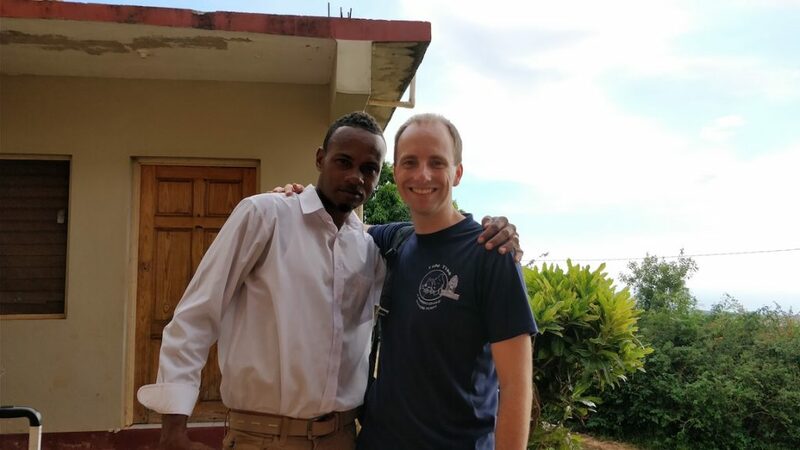 While none of us are perfect, Brother Marlon is a great example of service, making us think about our own lives and how much the pleasures of this world are impacting on our own service. One day Christ will return and I’m sure we will all wish we had done more. On my first arrival at Port Maria, it quickly became clear that while there were around six sisters, they didn’t have a suitable place to meet and as a result hadn’t seen each other for several months. 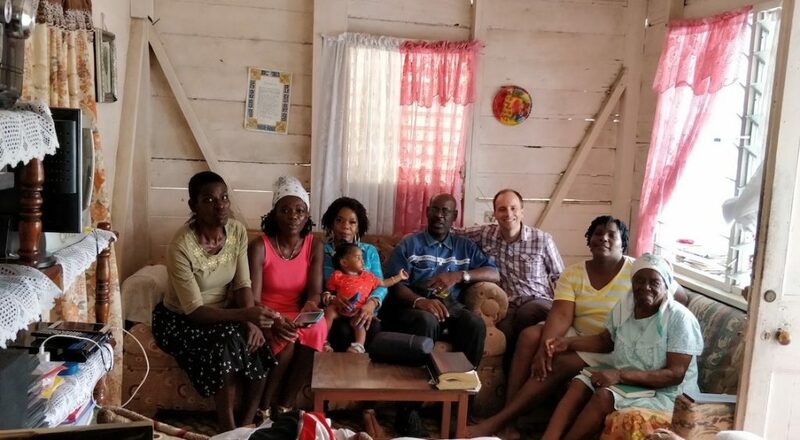 After some discussion we discovered that Sister Enid Hall (94 years old) lived a little over an hour away in total isolation at Port Antonio, and loves opening up her home to visitors. 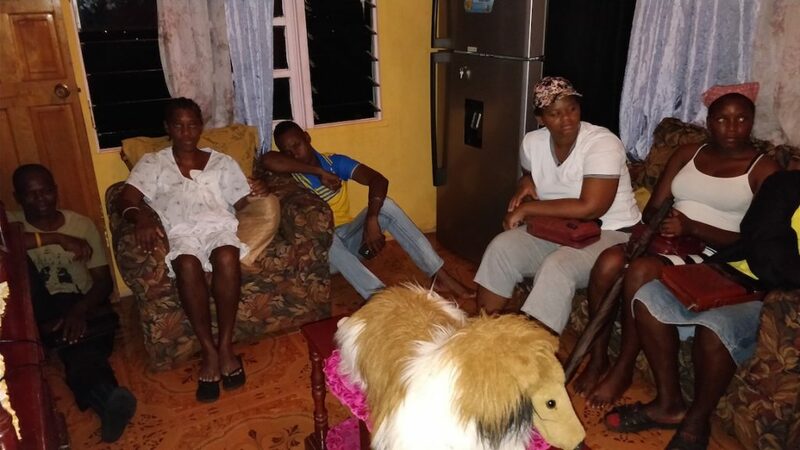 We set up a plan for the sisters to travel to visit and break bread with Sister Enid on a monthly basis while they were searching for a suitable place to meet. It was a long and arduous journey across the island for myself and Bro Leroy Johnson to join their second visit. However, this was all put in perspective when we saw Sister Enid’s happiness at greeting us. She was quick to have her green hymn book out and as we started our meeting she out-sang us all. After a breaking of bread and lunch together it was time for us to leave. Sister Enid seemed to have lit up like a flower & kept saying how uplifted she felt for having shared fellowship with us. Our 3 ½ hr journey home was certainly made easier be the memory of her happiness. The annual October Jamaican Heroes Day Fraternal started late since it is a long journey for most across the island to Round Hill. I was happy that the theme they had chosen was “Signs of the Last Days”. We started with a look at key Bible prophecies, building a list of eight signs we are expecting to see in the last days. The past year has seen such an abundance of signs, from the aggression of Russia, to the change in attitude towards Israel, to the Britain’s breaking away and reconnecting with its former allies. We are called, not to sleep as do others, but to watch and be sober (1Thess 5:6). The question is what are we watching for? The day continued with discussion groups on being prepared for Christ’s return, encouraging others and being recognised by Christ when he returns. A break for a sumptuous lunch and an exhortation to strengthen each other in these last days rounded out the day. It was encouraging to see the Jamaican brothers and sisters coming together to share a day of fellowship together. Sometimes you come across lovely people in heartbreakingly difficult situations. Twice I visited Mount Pleasant, where there used to be an ecclesia of approximately 20 members, but now remains only one sister. 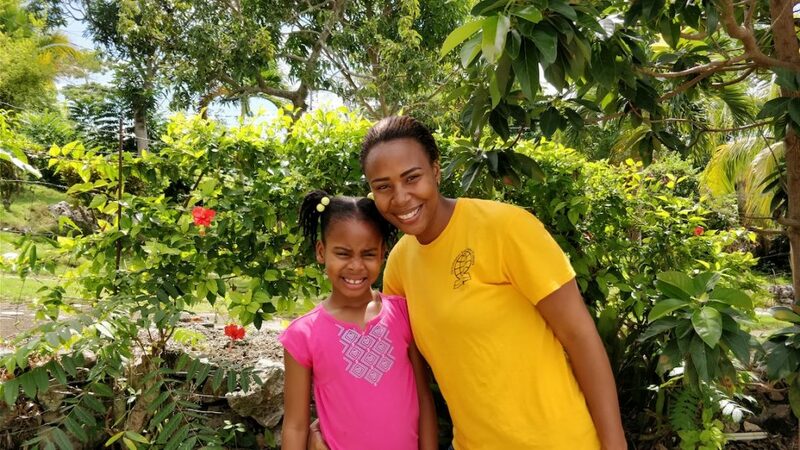 Sister Letisha Blair is a school teacher, who is struggling to bring up her seven year old daughter Chloe, while paying a mortgage by herself. Chloe was a bundle of fun and energy to be around. Once a month, Sister Letisha tries to get to the Round Hill Ecclesia. 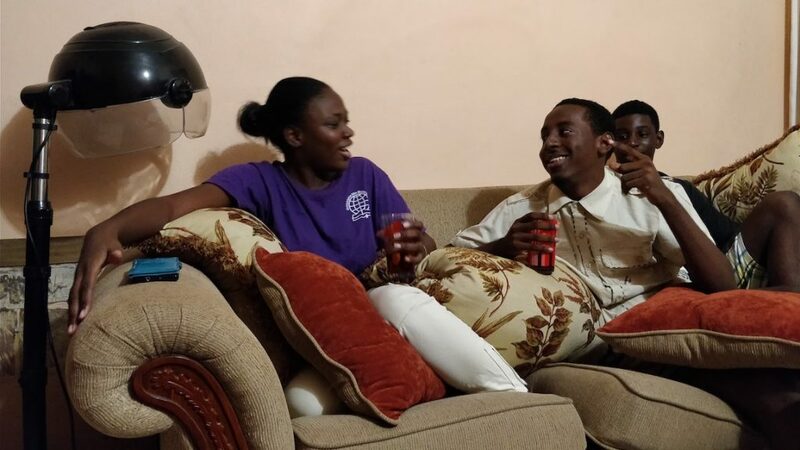 On visiting, it was clear that Sister Letisha was craving spiritual company. We enjoyed some good Bible discussion and question times together. Our hearts cry out to those left in these difficult situations. Between the May Pen and Spanish Town ecclesias there is a small but lovely group of young people ranging from their teens to early thirties. To their great delight, we had two ‘no parents allowed’ classes, where it was great to see them opening up about making wise choices in the world and what holds us back from baptism. We also spent an enjoyable Saturday exploring Port Royal and the Devon House ice-cream parlour. As there are no regular youth group classes or activities, it was a special treat to be able to spend some fun times together. It is the groups like this that are crying out for leadership that stay in our hearts and make us yearn to be back in Jamaica. 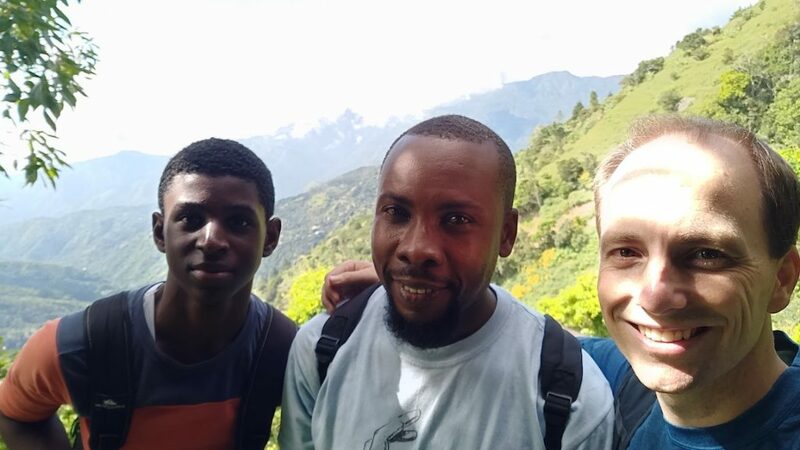 It was with a bit of trepidation that we set off on a trip to climb Blue Mountain (the highest point in Jamaica, at 2,256 m). After several hours of gently nursing our overheating 4WD up steep mountain tracks, we arrived at our mountain accommodation around 11:15pm. However it was only a short sleep, as we were up and walking by 2:55am in an attempt to reach the summit for sunrise. What followed was 3 hours of ascending through the inky black jungle in a little world of torchlight. After an eternity of hot work climbing, we reached the summit to find it covered in cloud and an icy cold wind blowing. The poor locals had never experienced anything like it. As we rested our weary limbs, we were very glad of the layers we had brought with us (the only time in Jamaica that I wore more than a shirt). We ate an early breakfast and waited… After about an hour the sun burned off the cloud and we were rewarded with stunning views across the clouds, out to Kingston and the sea. The long walk down made us realise just how far we had come up in the dark. We were rewarded with glorious weather and views, passing through coffee plantations to eventually make it back to our accommodation 3.5 hrs later (11:30am). We all lay down for a well-earned rest, then started the long drive home. It was a fitting final weekend for my eight weeks in Jamaica.